A diagnosis of Alzheimer's or dementia is among the most worrisome challenges of aging. Those who struggle with these diseases often become a shadow of their former selves. In worst case scenarios, the transformation results in violent tendencies in loved ones that often weren't present before. 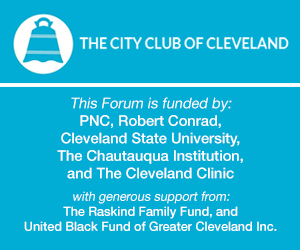 As part of the City Club's series on Aging in Northeast Ohio, this panel conversation took place at one of our region's leading institutions in elder care. Family members and physicians will discuss the journey of caring for those battling different forms of dementia. This conversation is moderated by ideastream® health reporter/producer Marlene Harris-Taylor.